I might not have blogged about this one particularly simple cake (I might have posted some pictures in the past though) but that doesn't mean that this cake doesn't deserve a highlight and its own blog post. This humble banana muffin in particular is very special to me and it goes back to my early college days in TX. I started baking at the last year of my college days I think. I was more of a cooking type of girl, Indonesian home-cooked meals, Chinese, American, Italian, a little French, and for a student, that was something. 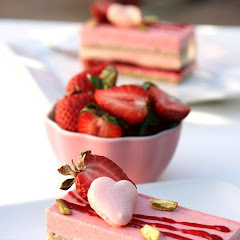 I never really interested in baking world until I met this little sweet cake. I was at my friend's house for a bible study and she just made this cake. She served it right out of the oven and it was love at first bite, I immediately asked for the recipe. She got the recipe from a missionary and she's been using the recipe ever since. 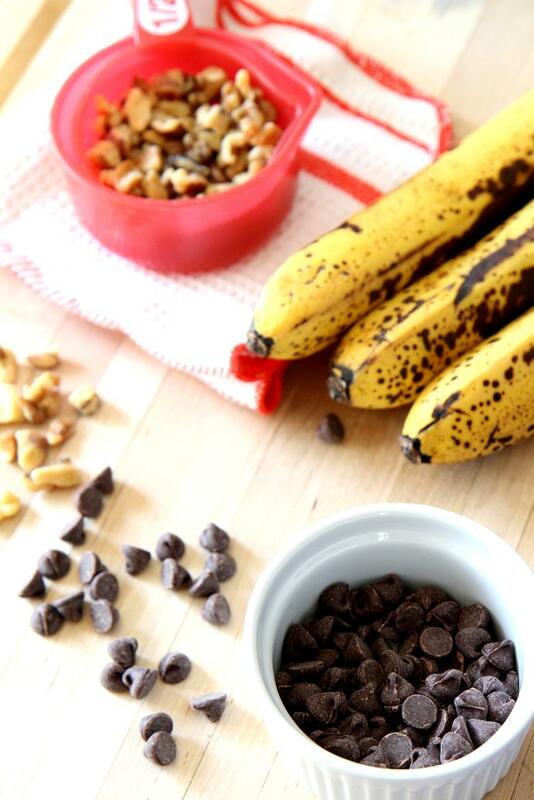 I adapted the recipe to adjust the sweetness to my liking and adding chocolate chips to it. 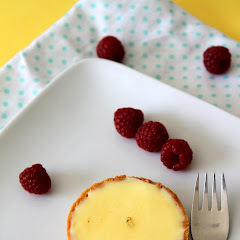 This recipe has become favorite in my baking repertoire and it is the most baked cake in my kitchen, not to mention very easy to make, it will take me 30 minutes probably from start to finish (and I mean, cake out of the oven). Everyone from little to old loves this and this is also the first and possibly the only cake I think of whenever I see over-ripe bananas. 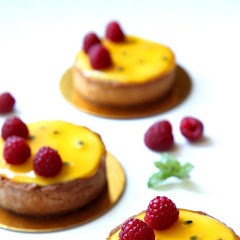 It is easy to make but the reward is great, even my non-baking brother asked for the recipe. Once, a good friend of mine asked for a dozen of this for her birthday present, it was that special. It is more special for me because it has some nostalgic value I think. I baked a lot of different banana cakes in the past but I always go back to this one, and I've been sharing the recipe with friends. I can't believe I haven't shared with you guys. I made this particular one for my baby nephew, Tobias, with the help of my niece's (Tobias' big sister) help. He's just gone through a very painful throat surgery and wouldn't eat or drink for days cuz of the pain. He is a really energetic 1.5 year old boy and it broke my heart to see him lying in the hospital bed with tubes and everything on his body for a week. I baked this as soon as he came home from the hospital and hoping that he would eat it, he liked it when I made it before. I jumped with joy when he actually ate the whole thing! He refused to eat anything else, even the milk he loved so much but he'd eat this. I baked it in two different molds, standard and small and he could eat 2 small ones in one sitting, yay! He is doing so much better now but poor thing, he had to go through the same surgery again in a few weeks, and I am hoping to make these again for him. On a completely different topic, San Jose is finally starting to show some warmth. Today, I drove to work and lunch with a clear blue sky with no single white streaks, gentle and cool breeze and warm sunny sun, a fine California day. Farmers' market is one of my favorite place to visit, I saw lots of cherries yesterday and stone fruits are beginning to appear everywhere. I am excited! 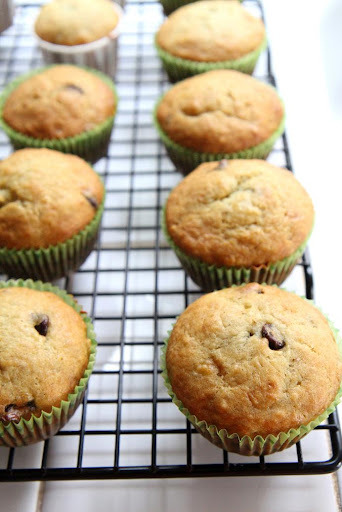 Hello ,just stumbled upon yr blog,on this banana muffins,no butter or oil required?would like to try yr recipe,hope to hear from you.thank you.God Bless. Wow, that's like the EXACT same recipe I happen to use! Totally agree it is the best =] I threw some Andes mint chips in there before along with a few regular chocolate chips. It was subtle, but interesting. I am impressed wtih your baking skill. Did you go to school for it? 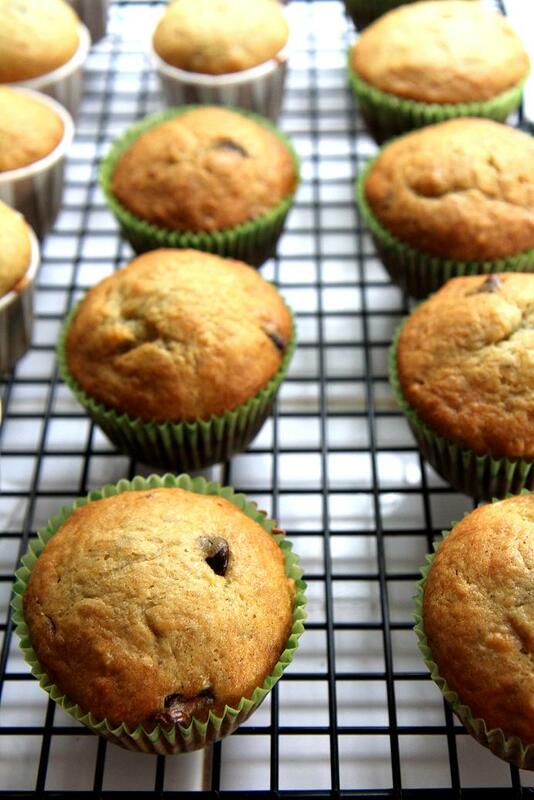 This is my favourite banana choc chip muffin recipe. 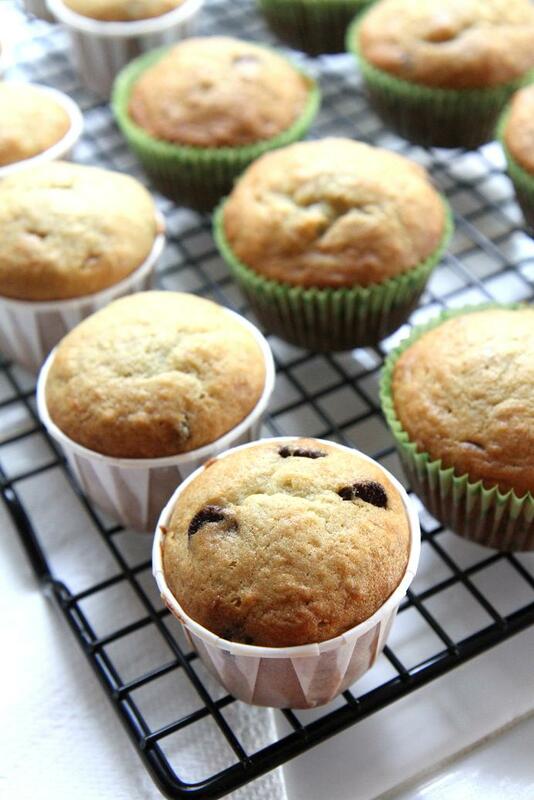 I use oil as it makes the muffins light and fluffy, and often use a pretty generous amount of chocolate chips. 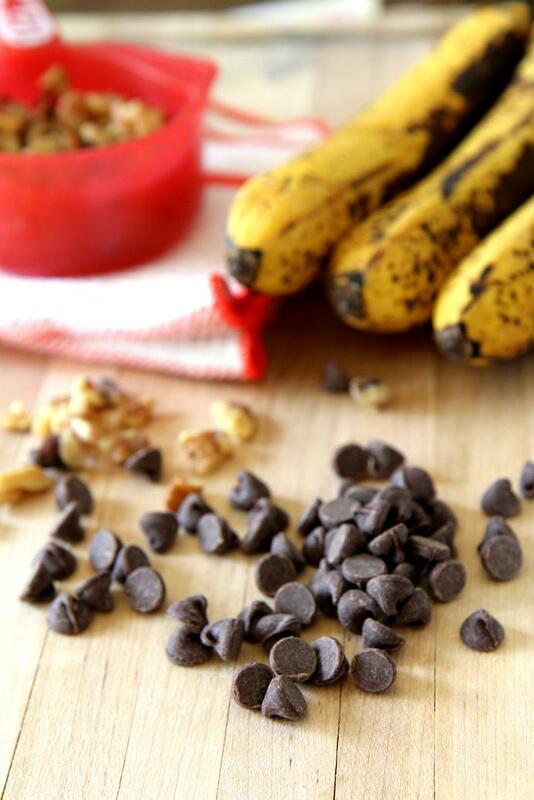 Such an easy recipe and a great way to use up overripe bananas! I've made them quite a couple of times for staff meetings at school and been asked for the recipe a number of times. Definitely recommended!